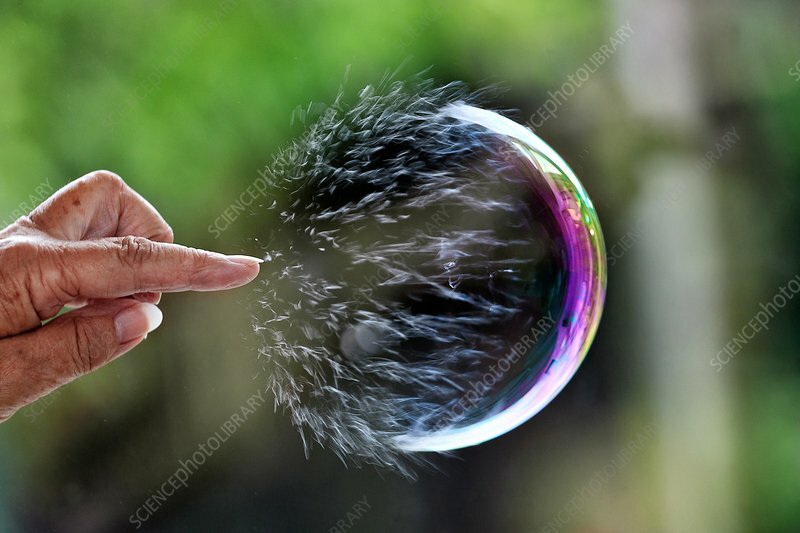 High-speed photograph of a hand popping a soap bubble in mid-air. The bubble is shown to collapse in on itself, rather than just disappearing. The collapsing bubble state is not normally seen by the human eye due to its speed.